On April 10, 1912, the 319 First Class passengers that went on board the RMS Titanic took a lot of things with them when they decided to go across the big ocean on the Titanic. 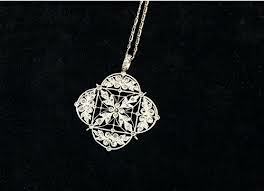 Among the things they packed, like their clothing, shoes, and person toiletry items, many of them had very expensive jewelry that they packed especially for the fancy parties that would take place during the voyage. 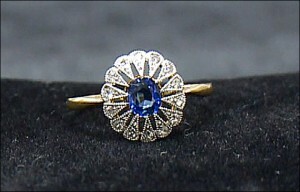 When the Titanic began to sink, the last thing that people had on their minds was retrieving their fancy jewelry, although some of the First Class women did try and get it back, a lot of fancy expensive jewelry went down with the ship. After Bob Ballard, and Woods Hole Institute, found the RMS Titanic in 1985, the world caught Titanic fever because the world’s most luxurious, and at the time the biggest, ship in the world had been found. The Titanic was not just the subject of books and movies, but was an actual real ship that was sitting upright on the bottom of the ocean. The same year Bob Ballard found the Titanic, which was 1985, National Geographic magazine came out with the first pictures that Bob Ballard had taken with a remote RV that he had dragged from the back of his ship. The images of the now rusting Titanic were amazing, but it was clear that Bob Ballard, and other explorers, were not happy with just the above-the-wreck pictures, and wanted to get a closer look. One year later, in 1986, Bob Ballard went back down to the ocean floor with small three-man submarines, and getting closer to the ship gave them the chance to take much better pictures and to see what was actually down there other than the ship. Bob Ballard held the wreck of the Titanic in great reverence, and while he was exploring the ship, he was very careful not to disturb anything. Between the bow and stern was the debris field, and there were many objects in it from giant 3 ton boilers, to tea cups in the sand. 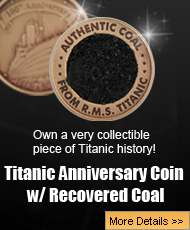 A company called RMS Titanic Incorporated formed shortly after the discovery of the Titanic, and this company had exclusive salvage rights to start taking things from both the ship and the debris field. Many expeditions went out to the Titanic’s finally resting place and began to pick things up and bring them to the surface. Among the recovered items was a purser’s bag, and when it was brought up from the ocean floor, the surprises inside of it were incredible. 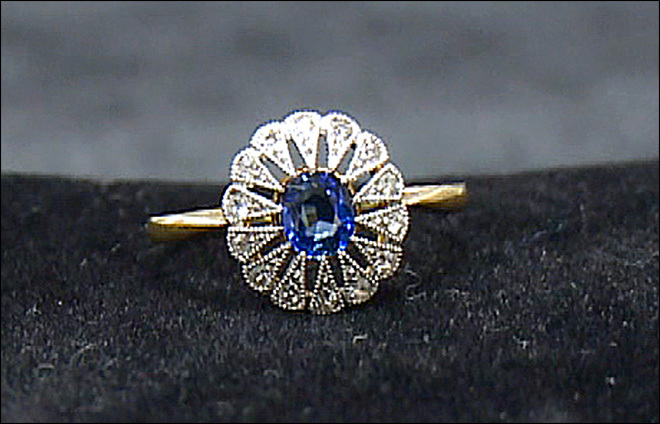 Inside the bag was a lot of very valuable jewelry, and those valuable items were then cleaned up. The executives who ran RMS Titanic Incorporated decided that once the items they recovered were conserved in the right way to ensure they were preserved, they would then go on display in several traveling exhibits. For the longest time, the items that were recovered from the RMS Titanic were traveling all around the world. The recovered artifacts were things like glasses, clothes, dishes, tea cups, jewelry, and other items. 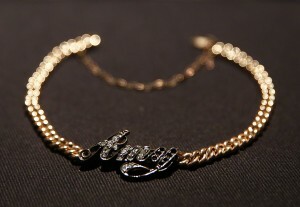 However, finally, it was decided that the jewelry should have its very own exhibit. 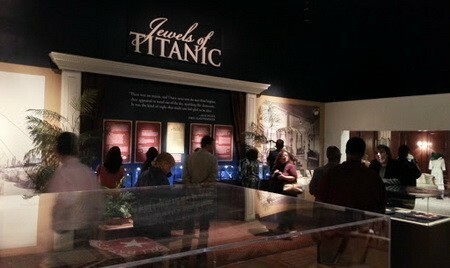 The Titanic Jewelry Exhibit has been a bit hit, and the beautiful jewelry has been seen by thousands of people. Seeing the very fancy pieces of jewelry have brought people closer to those that were lost on the RMS Titanic, and it is also a chance for people to see pieces of jewelry that have stood the test of the time even on the bottom of the ocean. The RMS Titanic sank almost 102 years ago, but even today artifacts recovered from her wreck site are put on display all around the world. 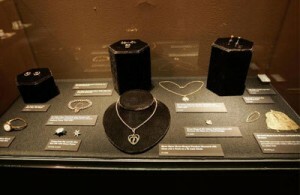 If the Titanic Jewelry Exhibit is a rare chance to see jewelry that was from the over 300 First Class passengers that packed their fancy clothes, and most expensive jewelry, for a week at sea that they would never forget. Unfortunately though, tragedy struck, and that week at sea turned into a nightmare that haunted the Titanic survivors for the rest of their lives. Are There Bodies at the Titanic Wreck Site?